Jade is a gem group with jadeite and nephrite as the two varieties. 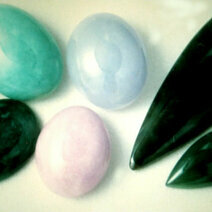 Jadeite is the variety that ranges in colour from green to white to lilac to brown to almost black. Nephrite, the more ancient gemstone is usually green with black inclusions of white. 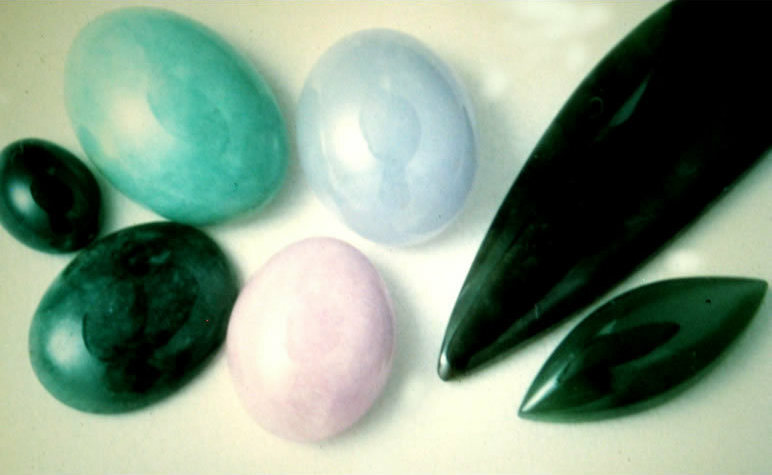 Jadeite is the harder of the two. Nephrite is slightly softer and is often veined; it is used in carvings, for making beautiful bowls and vases. A unit of time equal to one millionth of a second. Sodalite has a dark blue background with inclusions of white, grey, pink or green. It is used as watch dials.